The Buhari administration on Tuesday said the $1 billion Excess Crude Account fund would be used for more than the fight against Boko Haram. The planned expenditure was made public by Abdulaziz Yari, the chairman of Governors Forum, who said all the state governors had agreed to release the money to the federal government. Mr. Yari said although President Buhari and several administration officials, including military chiefs, had proclaimed victory in the eight-year long battle against insurgency, a substantial amount of budget was still required to tackle pockets of terrorists around the northeast. But Governor Ayo Fayose swiftly opposed any withdrawal from excess crude account to fight Boko Haram. While acknowledging the viciousness and urgency of the dreaded sect, Mr. Fayose said the ECA had already been overdrawn with barely $2 billion left in it. He also argued that other states across the country require attention for economic situations that are nearly as severe as those afflicting the people of northeast. Mr. Fayose also said the timing and the circumstances surrounding the $1 billion indicate that Mr. Buhari intended to warehouse it for his reelection bid in 2019, saying he was never a part of the discussion to earmark it. The planned withdrawal has also been a subject of political bickering between the ruling All Progressives Congress and the opposition Peoples Democratic Party. While the opposition party alleged attempted fraud on the part of the administration, the ruling party said all governors, including 11 from PDP, approved the fund. 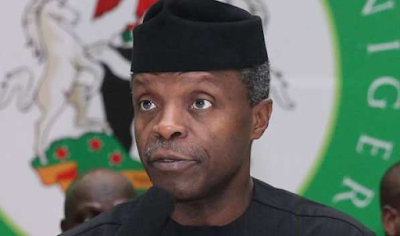 Providing further explanation about the controversial $1 billion on Tuesday, Vice President Yemi Osinbajo said the money was not meant for Boko Haram war alone. “It was on account of the security summit that the governors at the Governors’ Forum subsequently decided that they would vote a certain sum of money, which has become somewhat controversial, the $1bn, to assist the security architecture of the country. “It was to assist all of the issues in the states, including policing in the states, community policing, all of the different security challenges that we have,” Mr. Osinbajo said at the ongoing retreat of secretaries to the government at state and federal levels in Abuja. This is the first time the administration would be explaining that the money is not intended for anti-Boko Haram efforts alone.